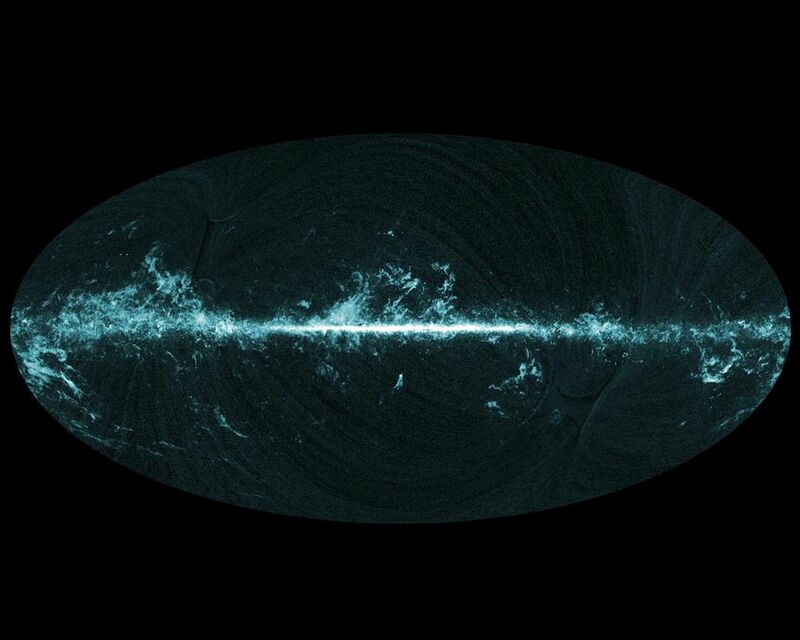 This all-sky image shows the distribution of carbon monoxide (CO), a molecule used by astronomers to trace molecular clouds across the sky, as seen by Planck. Molecular clouds, the dense and compact regions throughout the Milky Way where gas and dust clump together, represent one of the sources of foreground emission seen by Planck. The vast majority of gas in these clouds consists of molecular hydrogen, and it is in these cold regions that stars are born. Since cold molecular hydrogen does not easily radiate, astronomers trace these cosmic cribs across the sky by targeting other molecules, which are present there in very low abundance but radiate quite efficiently. 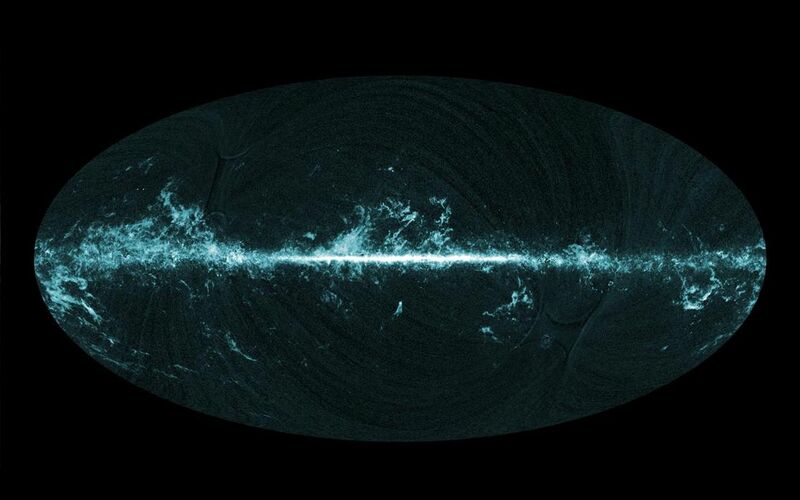 The most important of these tracers is CO, which emits a number of rotational emission lines in the frequency range probed by Planck's High Frequency Instrument. Emission lines affect a very limited range of frequencies compared to the broad range to which each of Planck's detectors is sensitive, and are usually observed using spectrometers. But some CO lines are so bright, they actually dominate the total amount of light collected by certain detectors on Planck when they are pointed towards a molecular cloud.